Rough Hand Made does exactly what it says on the sign; makes and bakes handmade and heartfelt. From pastries to bread and everything in between, Rough Hand Made is a place where the asymmetry is a sign of quality and each day they strive to make those perfect, yet seemingly unattainable, baked delights. Especially the pitta breads. Oh, the pitta breads. Don’t laugh about our seemingly over-the-top admiration for them you’ve seen them, they’re big pillows of happiness. The husband and wife team are a fusion of South America, the Middle East and England, just as their recipes are. The fusion has spilled from the oven and onto the walls and it can be felt throughout their boutique bakery. Whilst not looking it, they’re both in their 50’s (we’re desperately hoping the fountain of youth can be found in their cakes). Most couples at that age would be planning and looking forward to retirement, but they’re not like ‘most’ couples and that very notion is their worst nightmare. 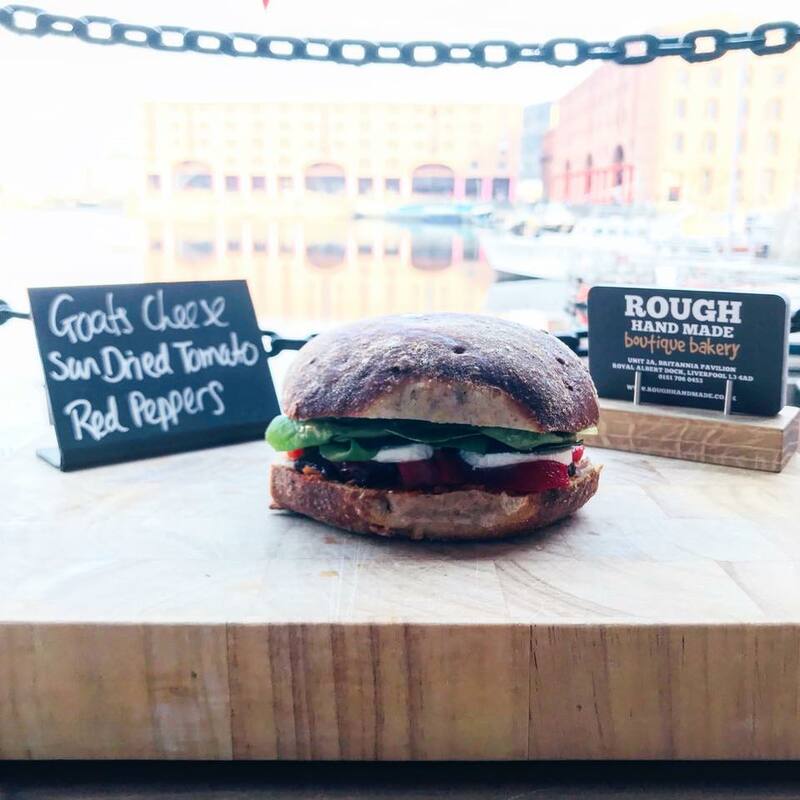 They’re always looking for a new challenge, a new obstacle and it just so happened that a space came available at Albert Dock, after becoming a firm favourite at Penny Lane for four years. The locals are understandably mourning but their next chapter is an exciting one and those croissants are worth travelling for. The interior is a minimalists dream. There seems to be a trend these days where most walls are adorned in random curios and trinkets that don’t seem to align or make sense. There’s no clutter here, everything is purposeful and echoes the simplicity of their mission. Everything is, you guessed it, handmade by the husband. 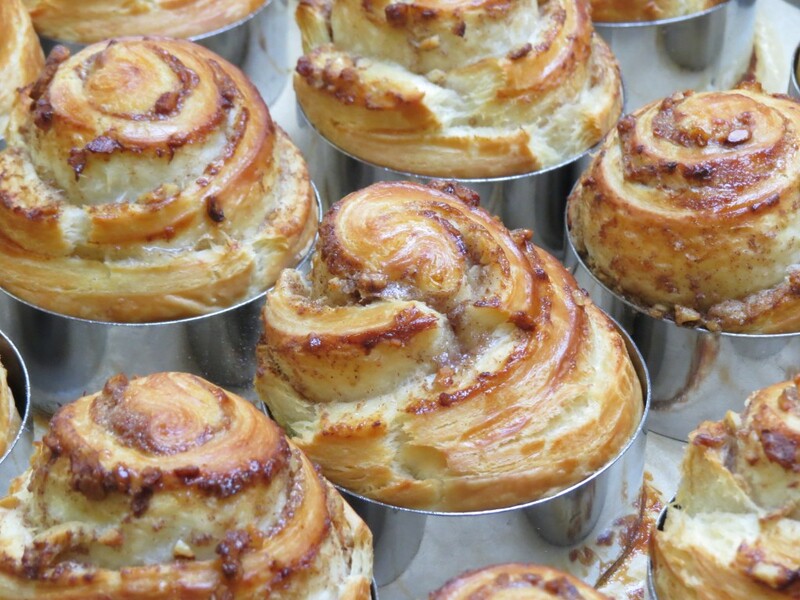 From the pastries you eat, to the counter you pay at, one man’s fair hands built it. The baked goods take prime real estate in the shop window and if the look isn’t enough to entice you, the smell definitely is. Rough Hand Made have nothing from yesterday and prepare nothing for tomorrow. Everything you eat or take away is made that day and the leftovers, if there ever is any, goes to a local homeless shelter once the shutters are down. A beautiful twist to an already pretty amazing space. Truth be told, we could have dedicated this whole profile to the products alone. Where do you start? 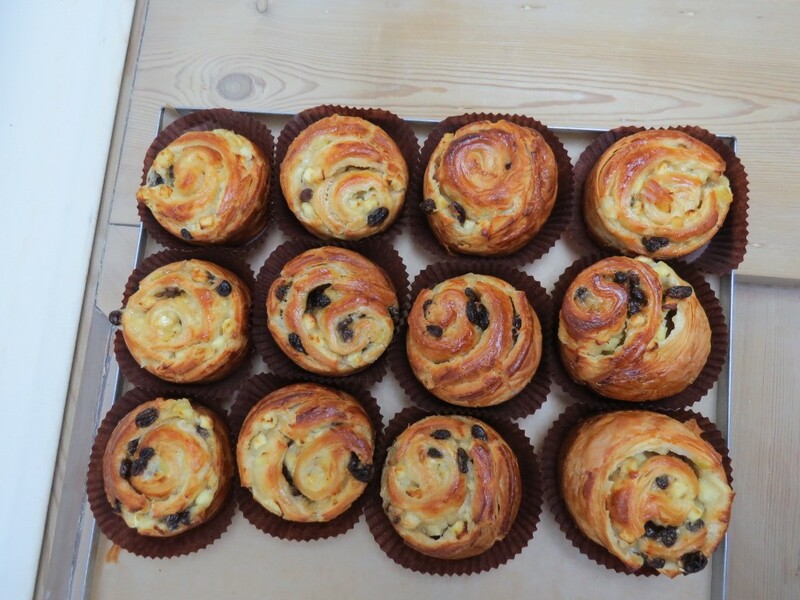 The Belgian chocolate croissants, the olive, pesto, mushroom and sweet corn bread, the rye bread, the pastries… we could go on. 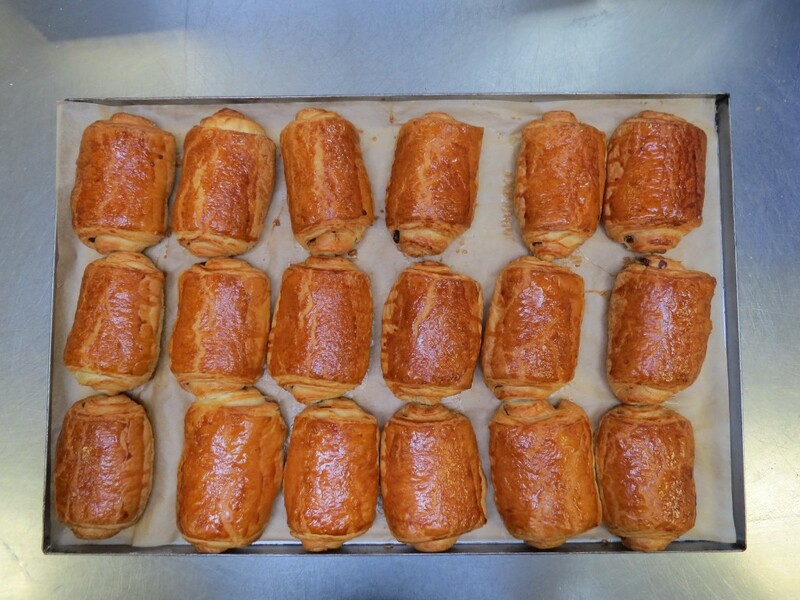 The croissants are so finger licking good they’ll make you want to lick your neighbour’s fingers. The best thing about Rough Hand Made is that you’ll never have the same thing twice. You could go in with a friend, order the same pitta bread and they’d be completely unique in their own way. One could be a little lopsided, one could be slightly bigger and one could have a bit more of a crunch. Each one is individual, just like you, for you. During the week they open at 7am and offer workers en route the chance to have a coffee and a pastry piping hot from the oven. Even if you don’t plan on popping in, the aroma that sweeps the streets will end up changing that decision for you. The big idea behind Rough Hand Made is to awaken the senses. As soon as you walk in you are stopped in your tracks by the bread and golden pastries as well as the husband baking in the back. There’s no wall blocking your sight, they proudly present the fact everything is made in front of you. They have nothing to hide and we don’t blame them. The smell, oh the smell, is indescribable. If happiness was a smell, this would be the one that trickles out as delicately as the Cuban music in the background. 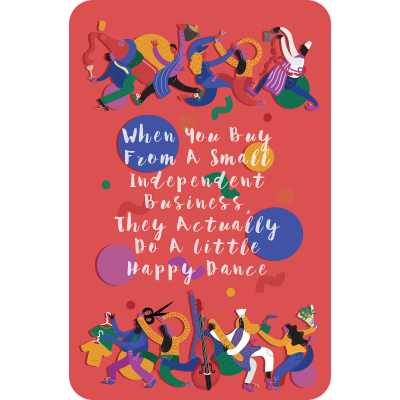 There’s the South American influence making its mark that is fun and keeps Sharon, the wife and co-owner, dancing. The speckles of flour on the floor seem to make it easier to jive but we think she’s a pretty good mover on her own. Rough Hand Made has been four years and is a testament to the power of word of mouth. If you bake nice things, they will come. “You only learn to swim when you jump in the deep end”, said Sharon just before we left. We were surprised to hear that whilst they’d always loved food, they had no real experience of owning their own bakery. 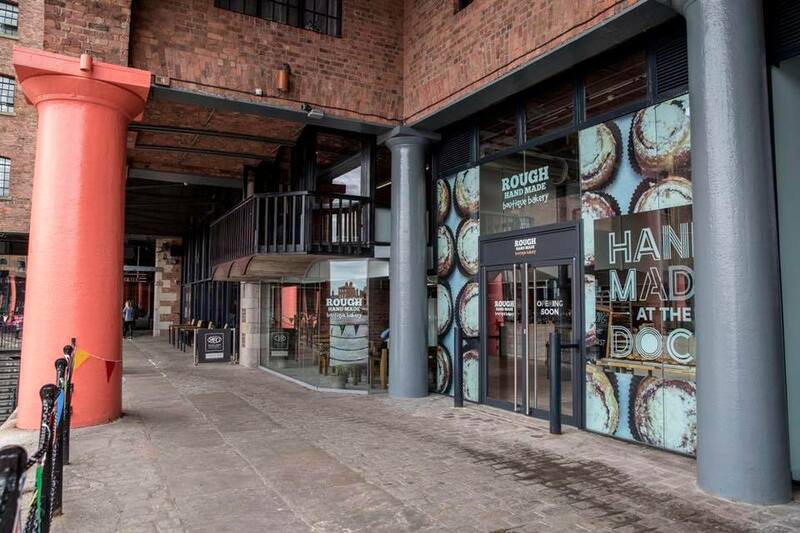 Rough Hand Made is a bakery built on the foundations of family and is a true family affair. Two out of their four children work there with the third joining shortly and their logo is the hands of the husband, Carlos, and their granddaughter. You’ll find no stock images here, everything means something. Liverpool has always loved risk takers and whilst a lot of attention gets paid to the next generation taking those risks, it was refreshingly romantic to see a couple in their 50’s do the same and a reminder that you’re never too old to follow your dream We suppose it is true that they say, you’re only as young as you feel and based on this principle, Sharon and her husband have decades of dancing around the kitchen left in them.